Paul pointed me toward a great article in the December 2009 issue of The Atlantic: Orchid Children, by David Dobbs. The article is his explanation of a recent collaboration between geneticists and psychologists. The basic point of the article is that most of us are dandelions; we grow just fine wherever we are planted. We just need the basics to bloom and grow. Some of us, though, are orchids; we need special care or we will wilt and die. 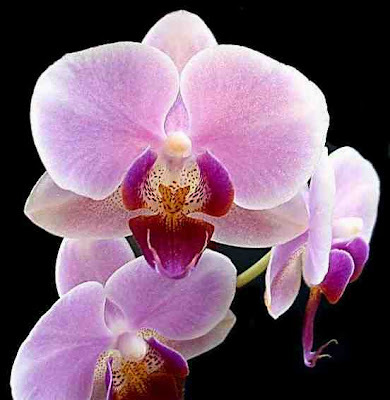 The good news about orchids is that with a bit of tender loving care, they grow into exceptional people. It seems that the same gene variants that can make us susceptible to depression, anxiety ADHD, risk taking, anti-social or aggressive behaviors, can lead to highly creative and successful lives, if the right care is given. Whether or not the genes will lead to depression or creativity has a great deal to do with the child's life experiences and what care was received during formative years. In the past we have only seen the behaviors of depression, aggression, etc. as being a deficit; we have never seen them as being potential for greatness. Yet, the evidence is strong. I can think of several highly successful people who didn't adjust well to their school environments (Einstein, Edison, F.L.Wright) and many many creative people who suffered from depression (Lincoln, Dickenson, Van Gogh) or other mental illnesses. We have assumed that these negative behaviors, or conditions, are only negative, but maybe they are the reason for the success of these individuals. The article describes a research program that studied toddlers who had issues. They studied children who had high levels of externalizing behaviors. "Externalizing behaviors" is nothing but a fancy way of saying these kids whined, and kicked and refused to obey. It is known that toddlers with especially high rates of these behaviors are more likely to have difficulties later on. The research program showed that when the mothers of these children were given specific techniques to use and training to detect when a fit was about to happen, that when they applied these techniques these children made huge progress in being able to self soothe and stay calm. The mothers found that if they persisted they could teach their children to enjoy activities, like reading a book together, which previously was deemed impossible. It took a lot of work, perseverance, patience and love, but the result was these orchid children bloomed. Apparently you can undergo a genetic test to see if you carry these specific genetic alleles. I don't think this is a good idea as I believe all children should be raised as orchid children. In fact, I believe in God's eyes we all are orchid children. We carry the gene for sin. We follow our own whims and lead ourselves into trouble. We persist in trying to get our own way even in the face of God's wisdom and plan. We are all orchid toddlers, whining and kicking and screaming through the trials and tribulations we cause ourselves. Others lose patience with us, we even lose patience with ourselves, but God perseveres. God's love covers a multitude of sins. He applies law as we need it but never hesitates to shower us with Grace. He knows that alone we have no potential to do anything right, much less anything exceptional. He knows that through the redemptive work of the Son and through the faith giving power of the spirit, we are exceptional in His eyes. A parent's love for a difficult child covers a multitude of behaviors. When that love is correctly and gently applied, God creates a change. My husband, Paul, expressed this beautifully in his song "Love Covers a Multitude." Remember today, that we are simultaneous dandelions and orchids. God can create growth wherever He plants you. You are forgiven and loved. You are exceptional. Above all, love each other deeply, because love covers over a multitude of sins. Offer hospitality to one another without grumbling. Each one should use whatever gift he has received to serve others, faithfully administering God's grace in its various forms. Beautiful post--as an artistic mom who's married to an artist and has two creative, strong-willed kids, I found much to ponder here. Thanks! :) And welcome to HCB! I look forward to reading more from you.